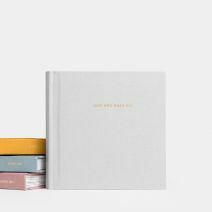 Interior dimensions: 5.5” x 5.5” x 1.7"
Exterior dimensions: 7.25” x 7.25” x 2.5"
Interior dimensions: 6” x 8” x 1.7"
Exterior dimensions: 7.5” x 9.5” x 2.5"
Interior dimensions: 10” x 10” x 1.7"
Exterior dimensions: 11.5” x 11.5” x 2.5"
Interior dimensions: 11.75 x 9.1 x 1.7"
Exterior dimensions: 12.5 x 9.75 x 2.5"
The box is constructed of 100% beetle pine on four sides. 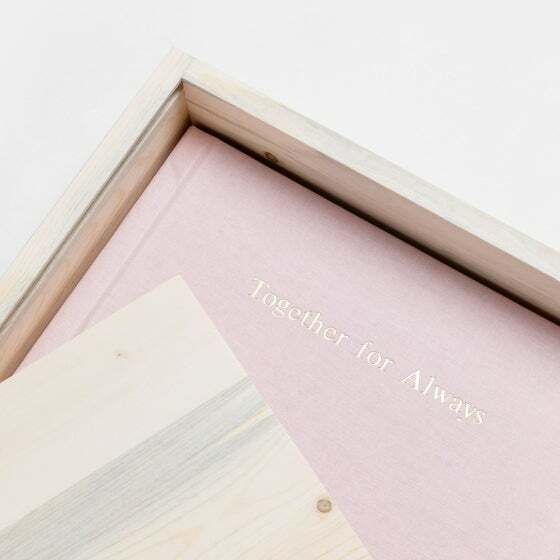 The sliding lid and bottom are constructed of beetle pine wood veneer for maximum print quality and longevity. 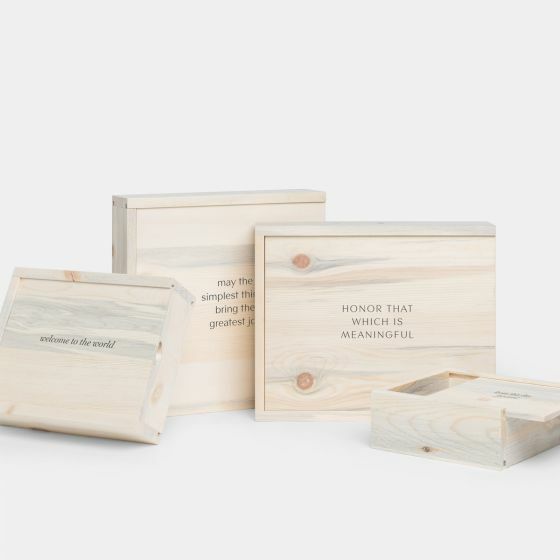 The Reclaimed Wood Quote Box is handcrafted in Colorado using mountain beetle pine reclaimed from our forests. 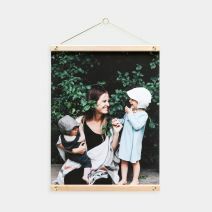 Once considered fallen wastewood, this pine is uniquely grayish-blue in color - a pretty cool reminder of an otherwise storied past. 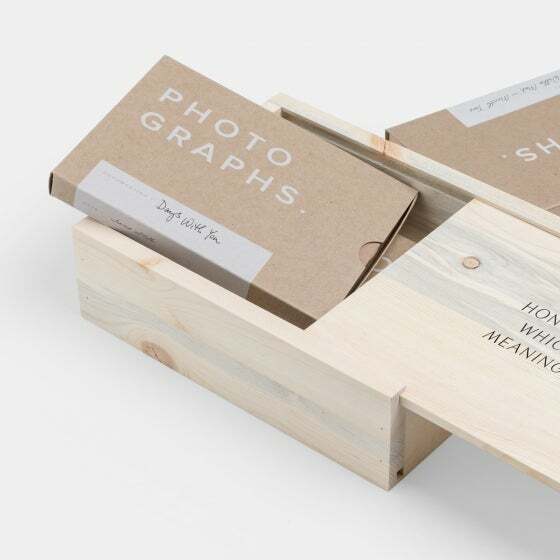 Due to the unique nature of the wood, each box will vary slightly and may include knots and unique markings. 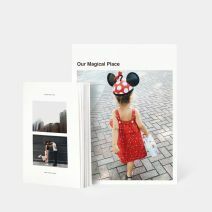 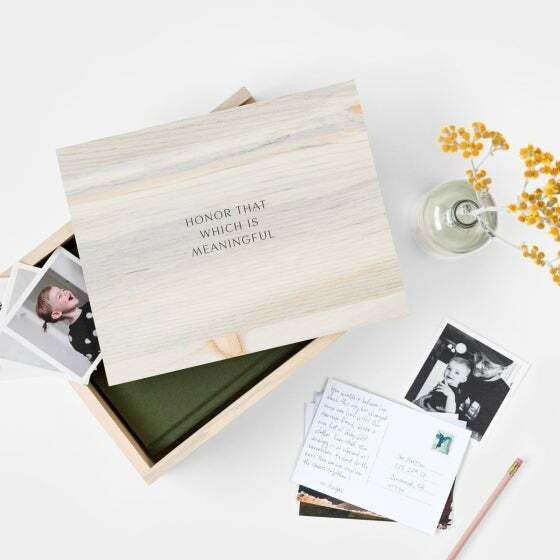 Available in four convenient sizes, the Reclaimed Wood Quote Box serves as the perfect home for photo albums, prints, and the little sentimentals. 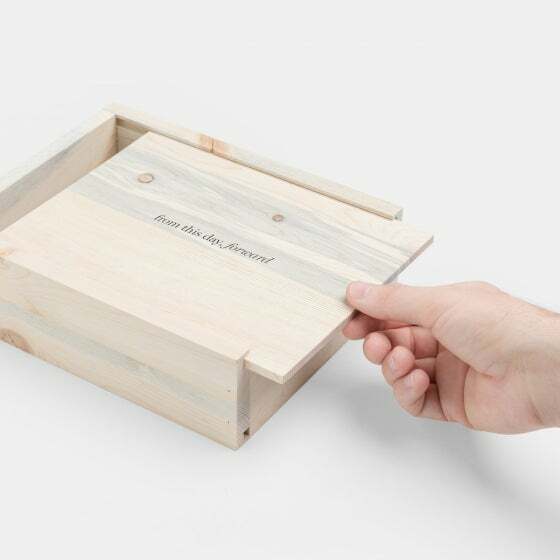 Choose from four timeless designs or opt for a simple blank box — each handcrafted in the USA from reclaimed beetle pine. 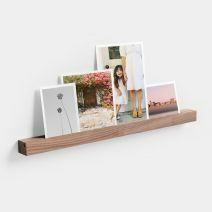 Our reclaimed wood is sourced from Colorado forests affected by pine beetle. 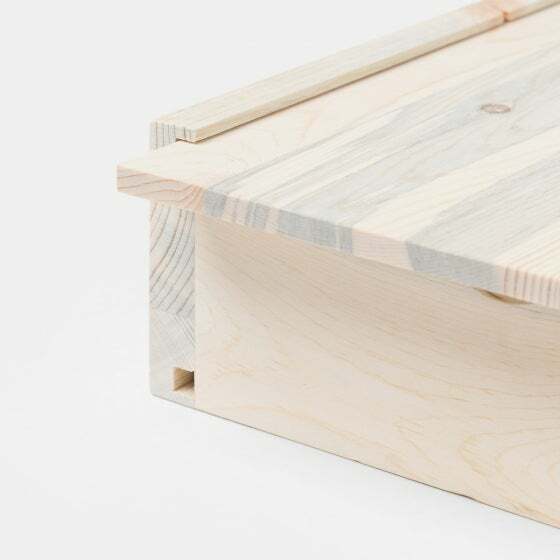 Otherwise considered waste wood, these products create new purpose from a storied past.